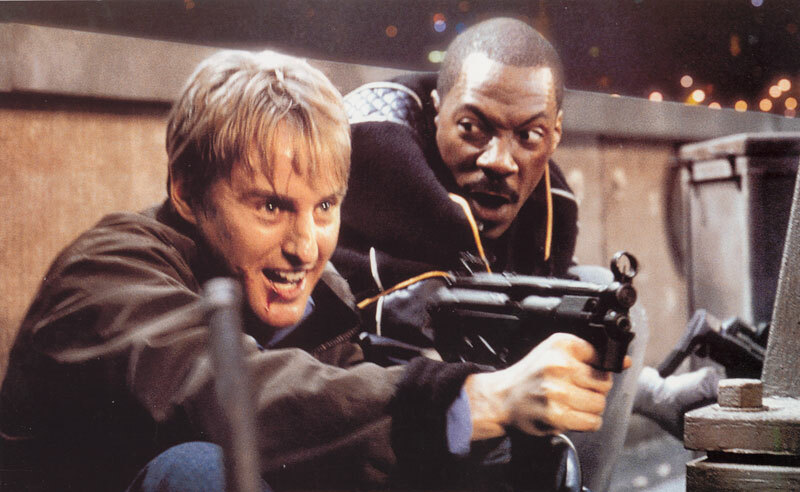 In roles that aren’t much of a stretch for either of the buddy-pic veterans, Owen Wilson plays a bumbling secret agent and Eddie Murphy a motor-mouthed boxer, who are incredulously paired up to intercept the sale of a stolen spy plane. The mismatched duo travels to Budapest to investigate the evil billionaire (Malcolm McDowell) masterminding the scheme, giving rise to a string of totally implausible (yet periodically amusing) scenes designed solely to showcase the laugh-inducing talents of Wilson and Murphy. Since neither actor is willing to play the straight man, the two spend much of the film battling fiercely for the comedic upper hand. Ultimately, Murphy emerges victorious, thanks to his frenzied, non-stop scenery chewing. Many viewers probably won’t recall the 1960’s TV series on which this mediocre flick is based, but it doesn’t really matter, since the two share little more than a name.